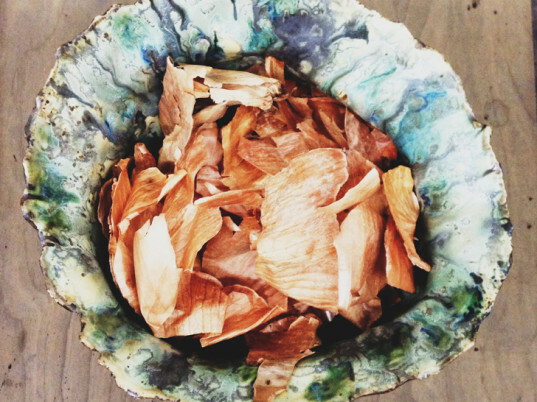 Drop by the Textile Arts Center in New York City on May 22 for Stained, a "sensorial experience" of natural dyes curated by local textile artist Cara Piazza. Inspired by Punchdrunk’s immersive theater production Sleep No More, the event promises to engage fiber pros and neophytes alike through the lens of experimentation, ritual, and performance. In addition to Piazza's own site-specific work, which will include several "sensorial stations" that interact with natural dyes in myriad unique ways, Stained will feature a food-tasting experience by Nicole Asselin, ceramics by Daniela Jacobs and Betty Roytburd, natural scents by Jessa Blades, hanging-net installations and table linens by Cat Lauigan and Alex Wolkowicz of Cave Collective, plus an open bar sponsored by Van Brunt Stillhouse House and Six Point Brewery. 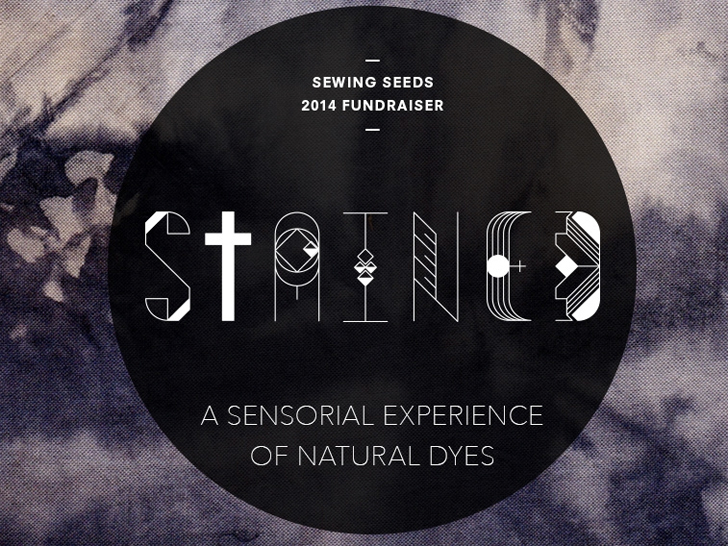 All proceeds from the evening will benefit the center’s “Sewing Seeds” initiative, which includes an art residency, free educational programming, creation of natural dye gardens, and the development of resources on natural dyes, such as maps, tutorials, and instructions. Want a sneak peek of what to expect? 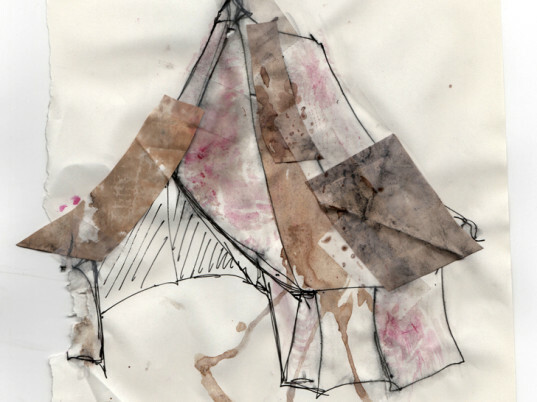 We visited Piazza’s studio—while she was dyeing fabric for the tent structure she’s creating for Stained—for a walkthrough of her process. 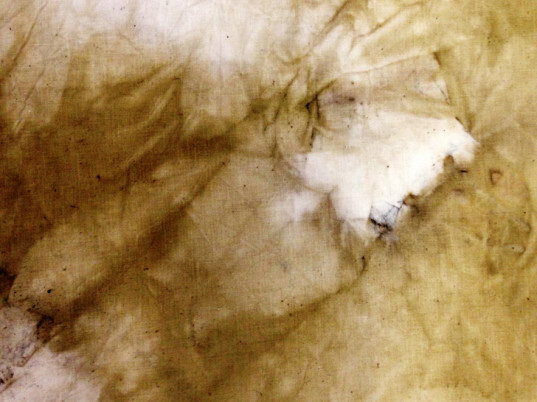 Piazza started with unbleached cotton muslin, which she cleaned and scoured so it readily takes the dye. 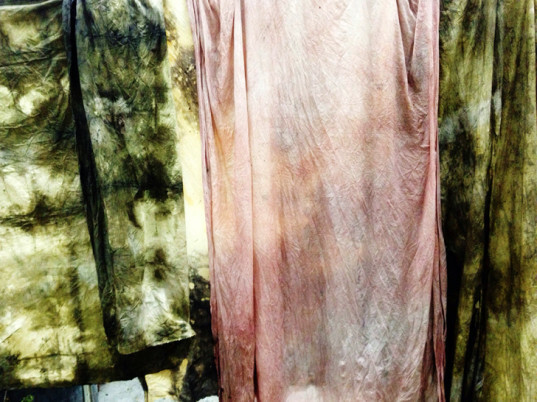 Then she mordanted the fabric using alum, a naturally occurring mineral. This step is crucial because the mordant establishes a strong chemical bond between the dye and fiber, ensuring the fabric’s colorfastness. To obtain the golden orange hue she wanted, Piazza used onions skins, first simmering them in water for 30 minutes to extract their dye. 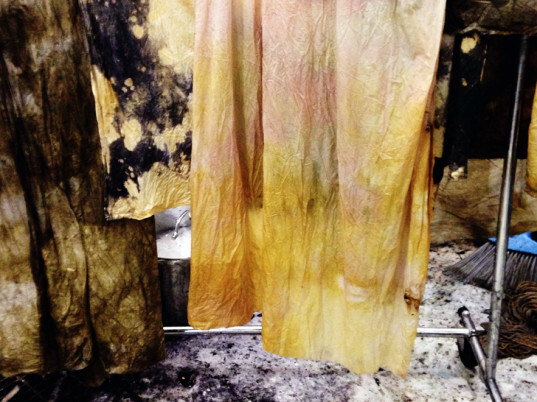 Strained of the skins, the dye liquid was ready to receive the fabric. Different mordants and even the type of metal the dye vessel is made of can affect a fabric’s color. In her case, Piazza used an aluminum pot, which gave the fibers a subtle green tinge. Piazza showed us other tent components she colored earlier, including pink panels dyed with hibiscus petals and annatto seeds. There were also darker-green ones derived from a blend of vinegar, oak gall tannin, and iron. Want a sneak peek of what to expect? 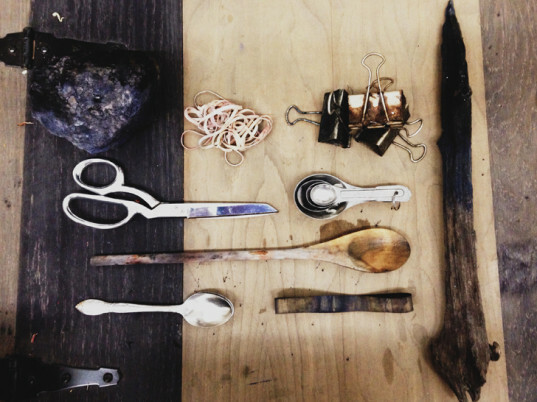 We visited Piazza's studio—while she was dyeing fabric for the tent structure she's creating for Stained—for a walkthrough of her process. Piazza started with unbleached cotton muslin, which she cleaned and scoured so it readily takes the dye. Then she mordanted the fabric using alum, a naturally occurring mineral. This step is crucial because the mordant establishes a strong chemical bond between the dye and fiber, ensuring the fabric's colorfastness. Different mordants and even the type of metal the dye vessel is made of can affect a fabric's color. In her case, Piazza used an aluminum pot, which gave the fibers a subtle green tinge.